When we recharge balance in our mobile phones, the thing that annoys us most is the heavy tax applied to it. We do not get what we are paying. Our balance is almost half or less than half of the recharged amount. Half of our money goes wasted in tax and what we get is the little amount of balance. Not only companies deduct our money as the tax, but retailers also deduct it without the authorization of company if we go for easy load. We cannot do anything about this. But network providers can surely do something for their customers. They should offer something like the special treat on availing the mobile services. Customers always expect some extra benefits from their network providers. So, telecom companies should give customers what they desire. Like Telenor has come up with something unusual and unique this time. It is offering you not a bundle neither lowest rates, but you will get free minutes upon recharging the balance. And you don’t have to pay something extra for it. Telenor knows what they should to draw in more customers in their circle and to keep current customers. 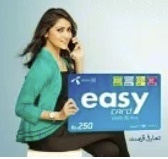 Telenor brings this unusual offer in the name of super load offer. Get connected to your friends without paying a rupee. What you have to pay?? Getting something extra without paying is what we sometimes want. You have to pay less than a rupee to avail the super load offer. You will get the fantastic offer of the superload only at 50 paisa including tax. No more tension of subscription code or sending SMS to activate the offer. To avail super load offer you just have to dial *5*100# before recharging the offer. Once recharge is done, you will get the message that free minutes have been allocated to you. You will get the balance after recharging. Also, you will also be provided with 20 free minutes. You can enjoy calling on all networks of Pakistan with provided free minutes at almost no cost. Not only Telenor subscribers but dijuice customers can get benefits from super load offer. The provided free minutes will remain valid only for a day until midnight. You can make calls on any network in Pakistan. Allocated minutes will not be active for helplines, UAN numbers, shortcode numbers and international calls. Telenor has right to change or withdraw the offer anytime. The offer will be applicable on the minimum recharge of Rs 100 and above that. Call setup charges as Rs 0.12 plus tax will be applied on initiating the new call. FED taxes will apply as set by Telenor from region to region. Telenor has presented the unique offer for Telenor subscribers and dijuice users as well. Subscribe to super load offer to get that special treat at no charges.